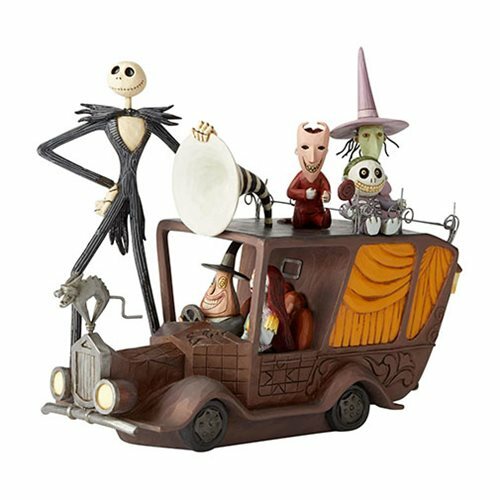 Hitch a ride with the denizens of Halloween Town! 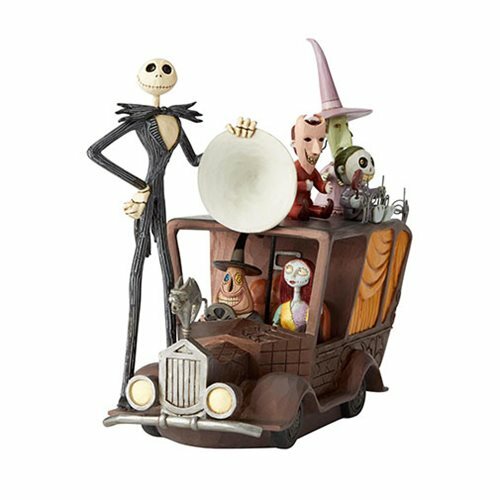 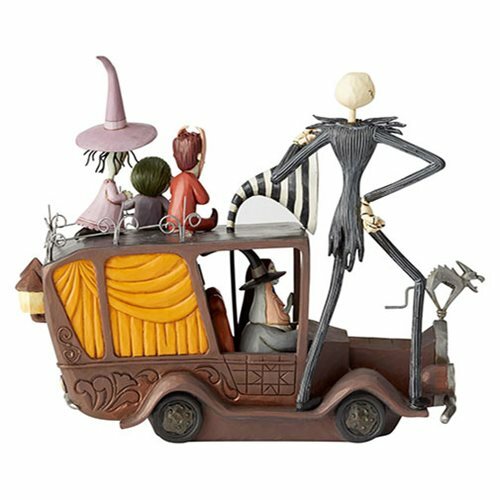 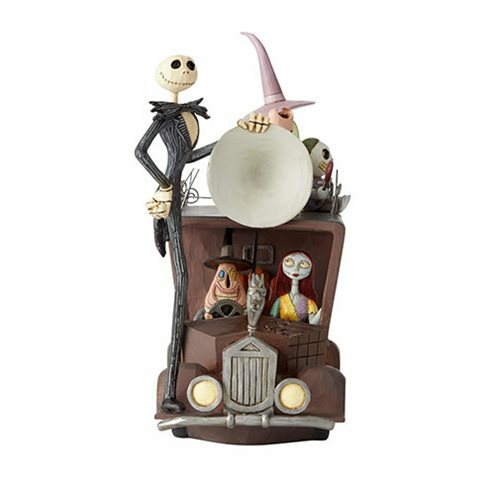 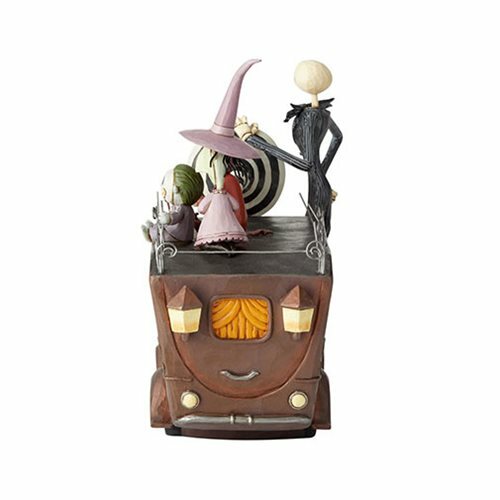 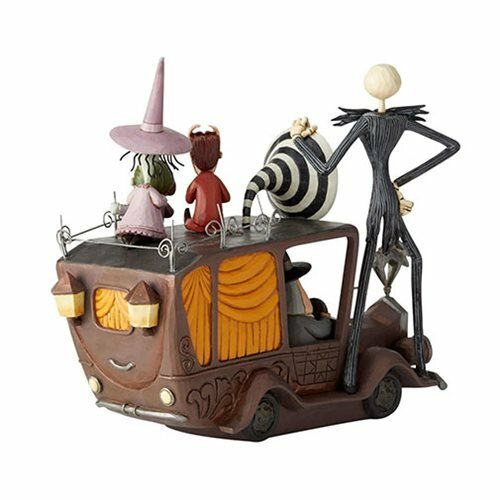 Look for Jack Skellington, the Mayor, Sally, Lock, Shock, and Barrel on the "Mayor mobile" in this fantastic Disney Traditions Nightmare Before Christmas Mayor Car Terror Triumphant by Jim Shore Statue. 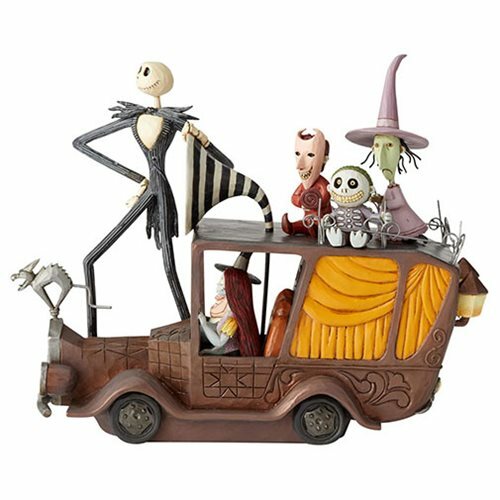 It measures about 7 1/10-inches long x 6 1/2-inches tall x 5-inches wide and is made of polyresin and calcium carbonate.